For some people, psoriasis can be controlled using over-the-counter (OTC) medications—in fact, many of these non-prescription treatment options, which you apply to your skin, are quite effective. These over-the-counter medications are often used in combination with prescription medications. However, be aware that OTC treatments can also have side effects when used together with prescription drugs. Be sure to talk to a dermatologist or physician about how to use OTC remedies before adding them into your comprehensive treatment plan. For most people, over-the-counter corticosteroid creams are the first line of defense against the pervasive itch of psoriasis. Hydrocortisone 1% cream is a commonly used OTC anti-itch medication. Hydrocortisone can be highly effective in the short term. For example, one study found that after four weeks, more than two-thirds of people using hydrocortisone saw their psoriasis rash clear up completely. However, note that this study used the prescription drug Locoid — the over-the-counter brands you find in your local drug store may be less effective. These products work in three ways: blocking chemicals that cause the itch response in the brain, inhibiting the body's inflammatory reaction and reducing blood flow to the affected area by constricting blood vessels. Side effects of corticosteroids can include burning at the application site, changes in the color of the affected skin, acne and a temporary increase in itching. These medications are not recommended for prolonged use because they are absorbed into the bloodstream and can impact internal organs. In very rare cases, corticosteroids have been shown to affect the complex interactions of the pituitary and adrenal glands, causing a condition called Cushing's syndrome. Cushing's syndrome can result in weight gain, profuse sweating, thinning of the skin, insomnia, and reduced libido. These symptoms typically clear up after drug use is discontinued. Most of these side effects are more likely with prescription strength cortisone than with over-the-counter varieties. Several natural ingredients can also ease the itching associated with psoriasis rash. 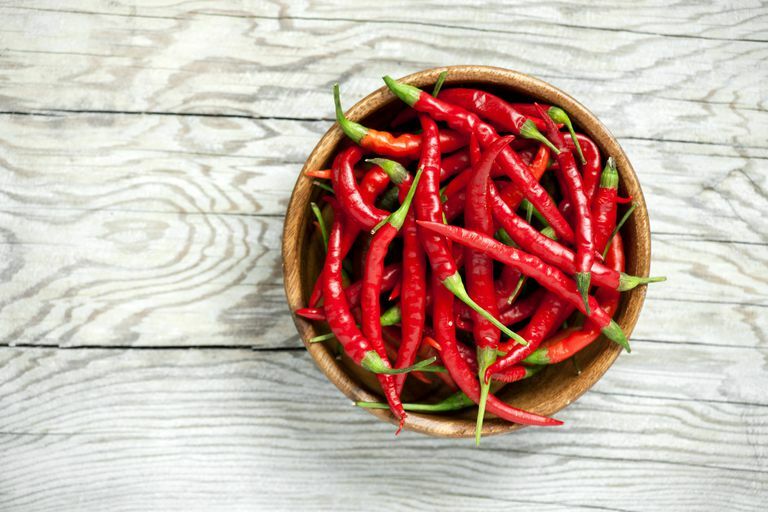 The scientific evidence is most compelling for capsaicin, which is found in cayenne peppers, and this compound works by affecting molecules at nerve endings that are responsible for transferring sensations of pain and itching to the brain. Capsaicin is available as a topical cream and can be found in a variety of brands, many of which are labeled to treat arthritis pain. According to the National Psoriasis Foundation, creams with 0.025 percent capsaicin are effective in reducing the redness, itching, and scaling associated with psoriasis. In addition, the National Psoriasis Foundation reports that some people with psoriasis get symptom relief using apple cider vinegar (either by adding it to a bath or soaking affected areas in it), emu oil (by rubbing it onto affected areas) or oats (by either adding them to a bath or mixing it into a paste with water and applying it directly to the skin). Some of these alternative therapies have not been scientifically evaluated for effectiveness or possible side effects, so be sure to talk to your doctor before using them. Topical coal tar is likely the oldest psoriasis treatment method. It reduces inflammation associated with psoriasis and slows skin cell proliferation, which is typically increased in affected areas. Generally, coal tar-containing products are applied directly to the affected skin. To increase the effectiveness of these products, the National Psoriasis Foundation recommends that tar is left on the skin for at least two hours. Most people combine tar-based therapies with other treatment methods. One common strategy, the Goeckerman regimen, combines the use of tar and ultraviolet (UV) light exposure. Tar can make the skin more sensitive to light, increasing the effectiveness of the UV exposure. Side effects of coal tar are rare but can include skin irritation and redness. Exposure to high concentrations of tar has been linked to increased cancer risk. Experts recommend that people who use tar as a long-term method of treatment should be checked regularly for skin cancer. The U.S. Food and Drug Administration has also approved the use of salicylic acid for the treatment of psoriasis. This medication is available in over-the-counter creams, shampoos, soaps, and lotions, and it reduces psoriasis scales and helps topical medications sink deeper into the skin. "Alternative Approaches to Psoriasis Treatment: Topical Products." National Psoriasis Foundation: Alternative Topical Products. Nov. 2006. National Psoriasis Foundation. "Cutivate (fluticasone propionate)." U.S. National Library of Medicine. 2008. National Institutes of Health. "Hydrocortisone (Hydrocortisone)." U.S. National Library of Medicine. 2006. National Institutes of Health. "Hydrocortisone Topical." MedlinePlus Drug Information. 2007. National Institutes of Health. James, M. "A Randomized, Double-Blind, Multicenter Trial Comparing Fluticasone Propionate Cream, 0.05%, and Hydrocortisone-17-Butyrate Cream, 0.1%, Applied Twice Daily for 4 Weeks in the Treatment of Psoriasis." Cutis; Cutaneous Medicine for the Practitioner 67(Suppl 4)Apr. 2001: 2-9. "Over-the-Counter Products." National Psoriasis Foundation: Treatment Guide. 2008. National Psoriasis Foundation. Reimann, S., T. Luger, D. Metze. "[Topical Administration of Capsaicin in Dermatology for Treatment of Itching and Pain]." Der Hautarzt; Zeitschrift für Dermatologie, Venerologie, und Verwandte Gebiete 51. 3 Mar. 2000: 164-172.